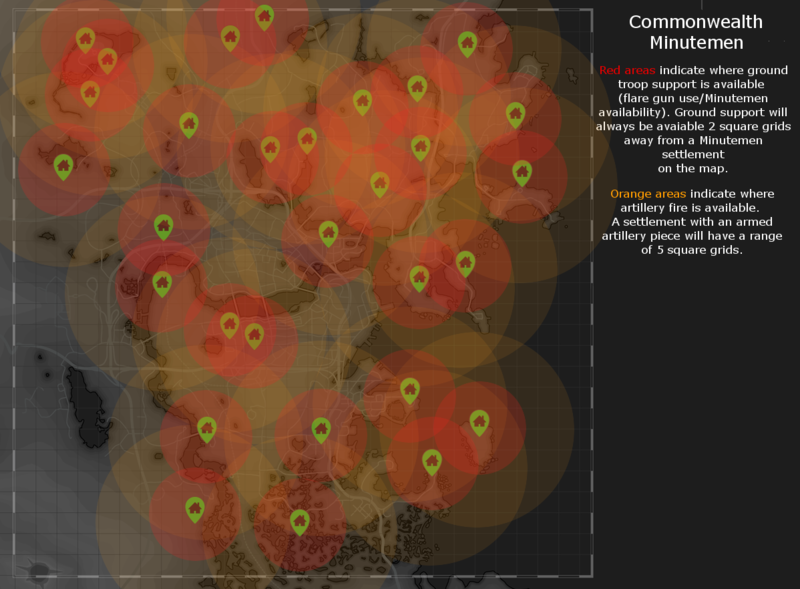 The link above is a Fallout 4 map shows you locations where Minutemen ground support and artillery are available. The Red areas indicate where ground troop support is available. The Orange areas indicate where artillery fire is available. Click the Fallout 4 map above to view the full printable version.